For a woman, and one who also belongs to a small Hindu minority’s lowest and poorest Dalit cast in the Muslim-majority Pakistan, life means bearing the painful weight of inequality and lack of opportunity. It comes as a pleasant surprise then that a promising woman from the Dalit community has secured her seat in the upper house of Pakistani parliament. The 39-year-old Krishna Kumari experienced a childhood in a private prison of a local warlord, where her parents were kept as bounded labourers. Against all odds – as a girl from a marginalised community within the already discriminated Hindu minority community – Kumari went on to become a local champion of human rights and social mobility after completing her studies, despite being married-off at the age of 16. Kumari has been working tirelessly against the inhuman practice of bonded labour, sexual harassment and other human and women’s rights issues in her hometown, in the Nagarparkar region. Coming from such a background, her rise to power certainly gives hope to many women and girls, not only in her own community, but to the poor and marginalised in the whole country. The seat she has won through her party is (literally) traded for millions of rupees by powerful politicians behind the closed doors of horse-trading. Kumari’s political struggle is very well complemented by the young and educated leader of her party, Bilawal Bhutto. The Hindu community in Pakistan’s Sindh province have been backing and supporting the center-left Pakistan Peoples’ Party for years, but there have been silent grievances in the community over the fact that this party – which has ruled over the country multiple times – has only further empowered the already rich and powerful Hindus, leaving the poorest citizens at their mercy. Kumari’s election might just change this cycle. Alongside countles issues currently facing Pakistan’s Hindus, their portrayal as the arch enermies as a result of the political rift between Islamabad and New Delhi continues to fuel toxicity towards the community. Hindus were not allowed to join the armed forces in Pakistan until 2000. 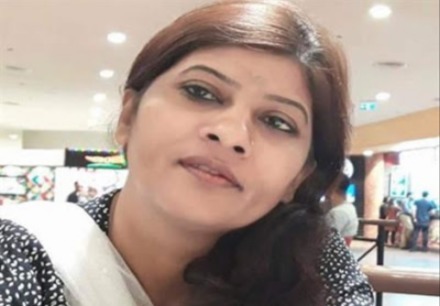 The election of the Dalit woman Krishna Kumari to the Senate in Pakistan brings in new hopes of integration, particularly as this development comes just weeks after the U.S. move to place Pakistan on a “Special Watch List” for “severe violations of religious freedom“ was announced. It has been a long road to realising the protocol of the African Charter on Human and Peoples’ Rights, whose idea was first mooted in 1999.